I get almost every week some e-mails where my dear readers ask for source code of my ASP.NET MVC and FullCalendar example. I have some great news, guys! I ported my sample application to Visual Studio 2010 and made it available at CodePlex. Feel free to visit the page of MVC Time Planner. Writing code that is easy read and test is not something that is easy to achieve. Unfortunately there are still way too much programming students who write awful spaghetti after graduating. 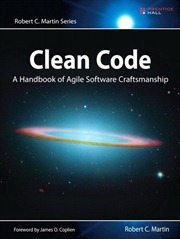 But there is one really good book that helps you raise your code to new level – your code will be also communication tool for you and your fellow programmers. I needed to add context menus to some tables of my intranet application. After trying some components I found one that does everything I need and has no overhead. In this posting I will show you how to use jQuery context menu plug-in and how to attach it to tables. I added support for vCards to one of my ASP.NET MVC applications. I worked vCard support out as very simple and intelligent solution that fits perfectly to ASP.NET MVC applications. In this posting I will show you how to send vCards out as response to ASP.NET MVC request. Code contracts is interesting topic to discover for me. Although it is new technology that is currently the lab rat of DevLabs it looks still very promising and useful. In this page you can find my postings about code contracts, references to other useful resources and download links to my presentation and example solution. One nice feature that code contracts offer is updating of code documentation. If you are using source code documenting features of Visual Studio then code contracts may automate some tasks you otherwise have to implement manually. In this posting I will show you some XML documentation files with documented contracts. I will also explain how this feature works. In my previous posting about code metrics I introduced how to measure LoC (Lines of Code) in .NET applications. Now let’s take a step further and let’s take a look how to measure compiled code. This way we can somehow have a picture about what compiler produces. In this posting I will introduce you code metric called number of IL instructions. I have database that has data imported from another server using import and export wizard of SQL Server Management Studio. There is also empty database with same tables but it also has primary keys, foreign keys and indexes. How to get data from first database to another? Here is the description of my crusade. And believe me – it is not nice one. Starting from Visual Studio 2010 F# is full member of .NET Framework languages family. It is functional language with syntax specific to functional languages but I think it is time for us also notice and study functional languages. In this posting I will show you some examples about cool things other people have done using F#. In my last posting about code contracts I introduced you how to force code contracts to classes through interfaces. In this posting I will go step further and I will show you how code contracts work in the case of inherited classes. It is possible to define invariant code contracts for classes. Invariant contracts should always hold true whatever member of class is called. In this posting I will show you how to use invariant code contracts so you understand how they work and how they should be tested. Sometimes we need a way to make different implementations of same interface follow same rules. One option is to duplicate contracts to all implementation but this is not good option because we have duplicated code then. The other option is to force contracts to all implementations at interface level. In this posting I will show you how to do it using interface contracts and contracts class. Code contracts and unit tests are not replacements for each other. They both have different purpose and different nature. It does not matter if you are using code contracts or not – you still have to write tests for your code. In this posting I will show you how to unit test code with contracts. It’s time to move on and improve my randomizer I wrote for an example of static checking of code contracts. In this posting I will modify contracts and give some explanations about pre-conditions and post-conditions. Also I will show you how to avoid ContractExceptions and how to replace them with your own exceptions. In my last posting about code contracts I introduced how to check input parameters of randomizer using static contracts checking. But you can also compile code contracts to your assemblies and use them also in runtime. In this posting I will show you simple example about runtime checking of code contracts. I just got Visual Studio 2010 code coverage work with ASP.NET MVC application unit tests. Everything is simple after you have spent some time with forums, blogs and Google. To save your valuable time I wrote this posting to guide you through the process of making code coverage work with ASP.NET MVC application unit tests. In my posting Windows Phone 7 Series development: reading RSS feeds I showed how to read RSS feeds using XmlReader. Although I hoped to start pimping up user interface I found some more work that needs to do be done. In this posting I will show you how to use WebBrowser control to display RSS content. Example solution is also here for download.